The Graduate for Mas store is your exclusive shopping experience for the hottest items out there. We’ve stocked the store with everything! Come by anytime to get Taco Bell Gift Cards, stickers, t-shirts, school supplies and more. Throughout the Graduate for Mas Challenge, we’ll be releasing BIG items to put your content into the universe, and a collection of everyday items to fuel your creativity. Make sure you keep earning points and completing the badges for a chance to redeem your favorite items! 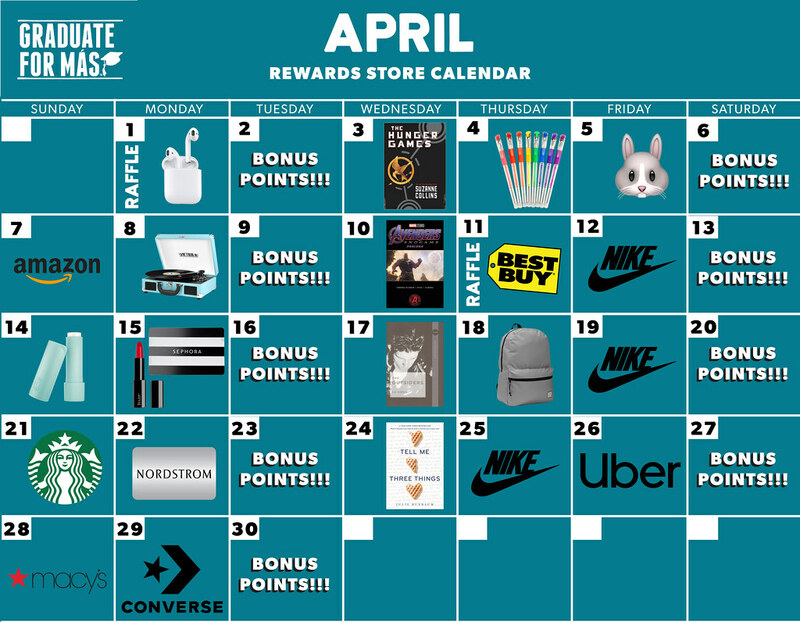 Here are all the items you can expect this month and their dates. Items are free of charge, including shipping! But that's not all, we're introducing something new this month called Get Schooled Raffles! Now you'll have a CHANCE to get a hot Get Schooled Item by redeeming a raffle ticket for 100 points. Only one raffle ticket per item per Get Schooled user. *Please note a raffle ticket is not a guaranteed win of the item.